Every entrepreneur looking to start a business needs a guideline to map the journey ahead of them. A business plan serves just this purpose. It specifies your goals and explains how you are going to accomplish these goals. This is helpful not only for yourself, but for potential investors who want to know more about your business. If you are an entrepreneur starting a production company or other small business and are confused about what goes into creating a business plan, you should use this article to clear up exactly what it is that defines one. The exact definition of business plan is not complicated. 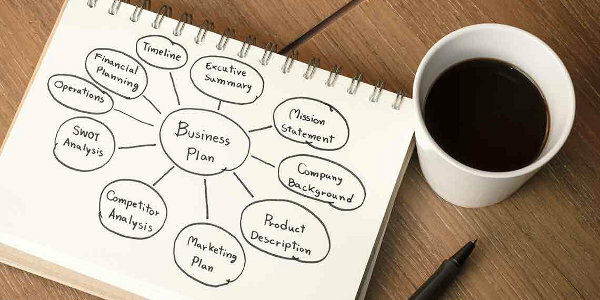 A business plan is a written document that describes the nature of a given business. In addition, these documents include the organization’s sales and marketing strategy, financial background and a projected profit and loss statement. It is important to understand the real business plan definition before learning what goes into creating it. Every business plan starts with an executive summary, no matter whether you plan to start a hair salon or open an online store. An executive summary is essentially an outline of your entire business. It includes a list of your goals and your plans for achieving them. Additionally, it includes details on management plans, products, target audiences and financial projections. This will serve to give you and your investors a quick glance at your business as a whole. It will also give brief introductions to the more detailed sections in your plan. All those involved in your business need an idea of what they are getting into, so an executive summary is a crucial part of what defines a business plan. The executive summary introduces your plans, but the latter portions are reserved for explaining them in detail. Every good business plan includes an overview of your financial projections. It provides information on your expected expenses and profits. It also lays out your expectations and predictions for the ends of each quarter. Investors care about numbers more than anything, which is why the financial projections portion of a business plan is so important. Information on whatever it is you are selling is also incredibly important in a food truck business plan or any business plan. Without a product to base your plan around, you are essentially just throwing around ideas. Fulfilling a business plan definition, it should have all the details needed to understand the product: its functions, its pricing, its target audience, etc. It would also include ideas for development or new applications in the future. Products define a business, so it only makes sense that a product description would be included in your plan. A business plan does not have to be limited to information about your own company. A comprehensive business plan, in definition, includes a thorough analysis of all of your chief competitors. It provides information on their prices, revenue and how much of the market they control. It also gives an idea of what their products are doing right. This information serves to better prepare your business for entering into your competitors’ space. Planning equals preparedness. Therefore, a section on preparing for the competition is a vital part of a business plan definition. Business plans are simple in theory. But, the different ways in which you can compile one can lead to confusion on what actually goes into one. Use the information in this post and you will get a better understanding on the true business plan definition for entrepreneurs starting a business.